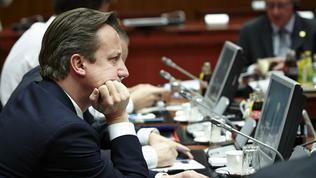 David Cameron has a very serious flaw - he does not have patience. This is especially evident during his interviews, news conferences, statements in Parliament. He does not have patience to wait for a question to end before answering. This creates rather a feeling of haste, not as much of fast thought. It is that precipitance that has led the conservative British premier to a stalemate, from where he tried to find his way out with a speech, called ambitiously 'European', but in fact quite national and narrow-tailored. He was the one to put himself in this situation when in the very beginning of his term (from May 2010) he bet on peremptory and unbending tone in the EU as in terms of the ways for exiting the eurozone crisis, so in terms of the negotiations on the next multiannual EU budget. Haste and his very one-sided approach on the European stage, has isolated him strongly, which was especially evident during the December European Council in 2011, when a decision was taken for the creation of a fiscal compact. Then he looked very lonely in the company of the eurosceptic Czech Republic which, however, is not the best company nowadays. 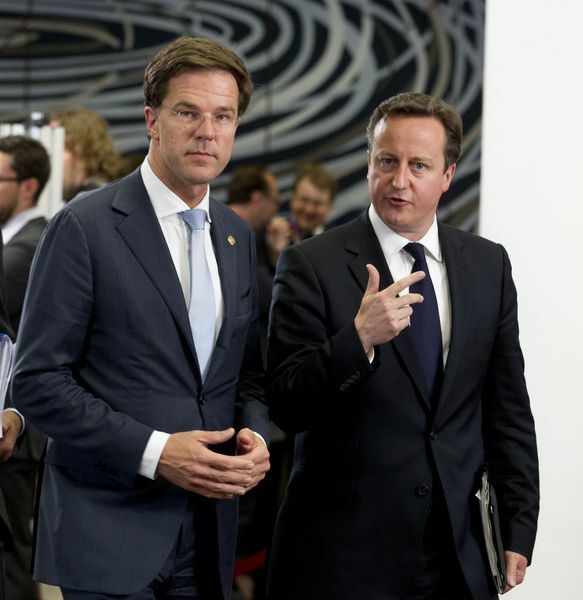 And while the EU was trying to find a way to restore economic growth and to handle growing unemployment, Cameron tried to fix the damage by initiating a letter, supported by several, mainly new EU member states, proposing a restart of the single internal market of the EU. It is hard to say to what extent have his attempts succeeded to secure his return on European stage, because with the inflaming of the negotiations on Budget 2014-2020 of the EU he again hardened the tone, mainly led by fear that the UK Independent Party of Nigel Farage is gaining speed and more and more frequently is "stealing" the headlines on the Island. 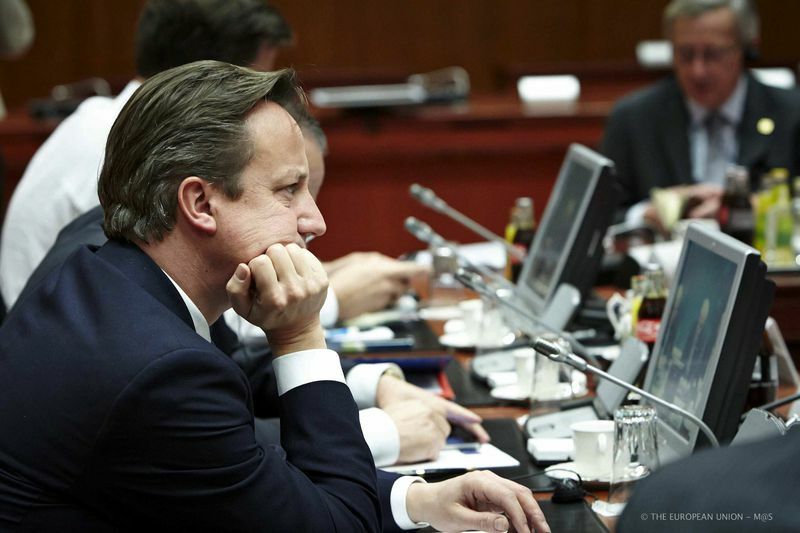 The British Prime Minister himself opened the discussions about a referendum on the future relations of UK with EU, but since his proposal to date he has not done much to ensure the voting. Pressed by the lack of encouraging successes at home and deepening integration on the other side of the Channel, David Cameron decided to pull the bull by the horns and play his final trump card. 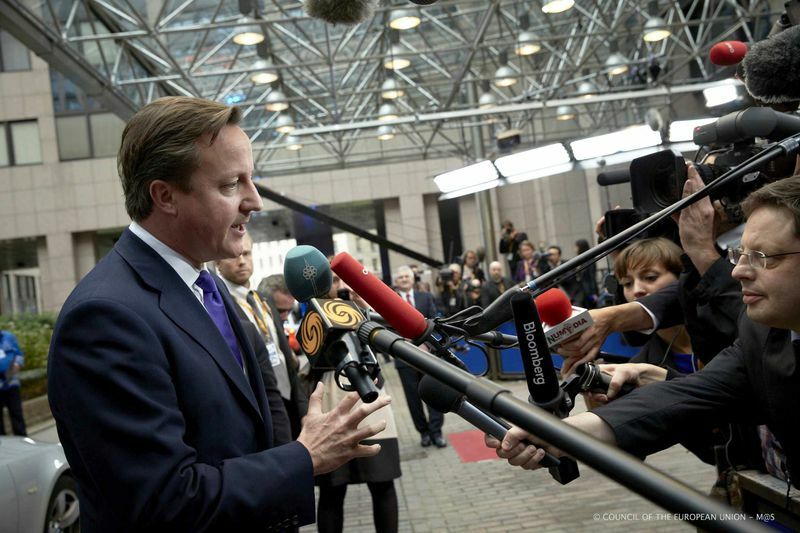 From the end of last year the public domain was warming up with expectations that Mr Cameron will deliver a "European" speech, in which he will outline the British-EU relations and what is necessary to change in them. It was discussed London to renegotiate its membership and also about a new European treaty that would stamp forever Britain's "special relations" with the member states. The very expectation of the speech as well as a series of rash decisions about where the speech to be delivered and when, seriously undermined its quality and even led to teases in the EU, ironic remarks and mockery for the British prime minister. Initially, it was planned the speech to take place on January 22nd, precisely when the 50th anniversary of the Elysée Treaty is marked. The choice for this date is not as harmful as it is provocative, which deprives of weight even further whatever London has to say. And it is very much below the dignity of a country that has essential contribution to the evolution of the European Union and the European history at large. After all, it was officially announced the date would be January 18th and the place - The Netherlands. Alas, the Algerian hostage crisis was used by the premier to postpone the event, while in the same time excerpts from his planned speech leaked in some media further enhancing the expectations and criticism. A new date for the speech was not announced immediately. After the hostage crisis, Downing Street 10 announced the date - Wednesday, January 23rd. Definitely this is far from the best date for such a speech because it is a day after the celebrations of the 50th anniversary of the Elysée Treaty, during which the relations between Berlin and Paris took a new line. From the statements of Chancellor Merkel and President Francois Hollande in the Bundestag and before journalists, it became clear that both are ready to leave aside their differences for the sake of continuing to be the motor of European integration. Indeed, both shook hands and in May they will table new proposals for deepening of the economic integration in the eurozone. 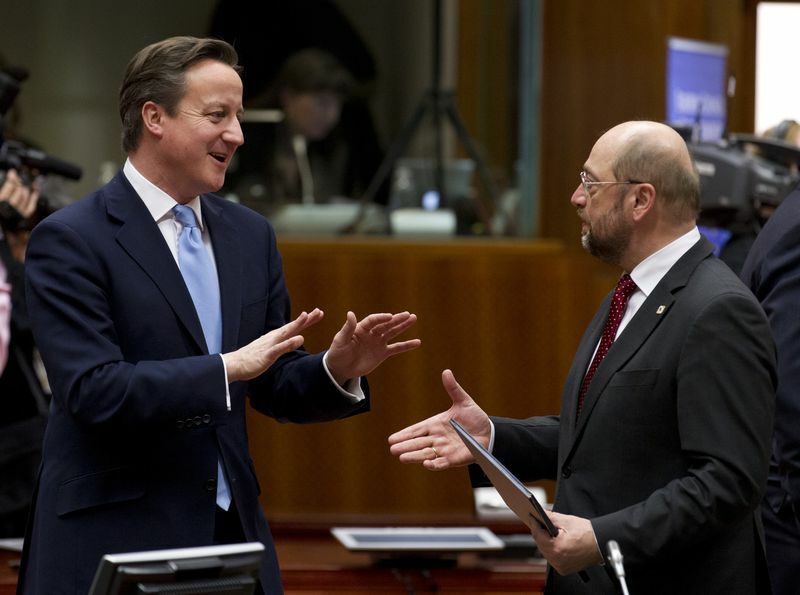 Is the European integration a heresy? David Cameron's ambition was this speech to lay out his "vision" for the future of the EU and Britain's part in it. Alas, the essence of his speech was far from being visionary and the thing that impressed a lot in it was that it was entirely directed to the British audience, which is disappointing. 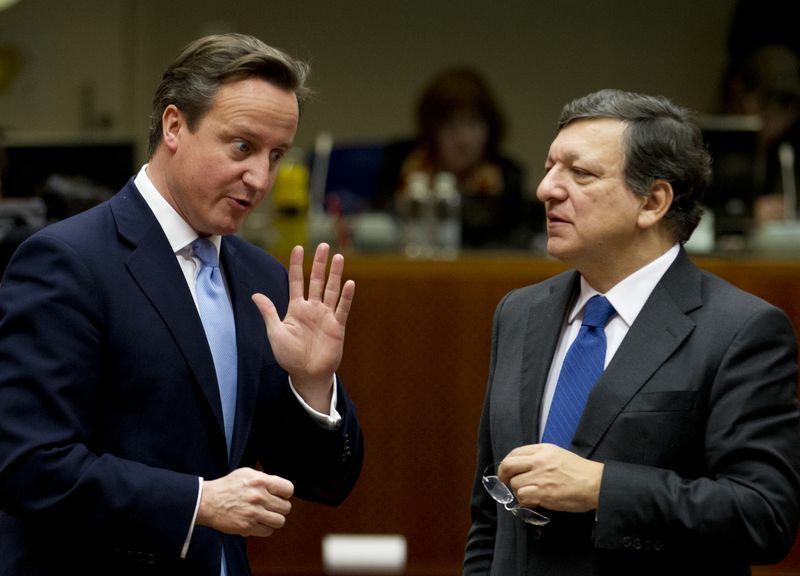 Incidentally, Cameron is the politician who never addresses the European citizens but only his own. He is the only one who speaks most clearly about a victory and defence of national interests after EU summits, although many other leaders could be criticised for the same, but not in the same scale. His relations with the other EU member states are more protocol-like if they can at all be marked with anything specific. Not only that the outlined ideas are far from visionary, but it is hard to recognise in them specific ideas. 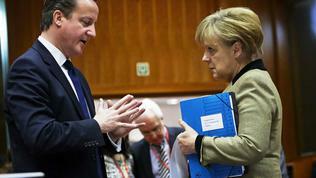 Besides, the speech sounds more of a response to all the criticism against David Cameron's European behaviour so far. Against the backdrop of the otherwise precise assessment of many of the problems, his raising up to heretic causes amazement. In the part of the speech that analyses and assesses the current situation in the EU, Mr Cameron pointed out that Europe has a long history of heretics who turned out to have a point and he showed himself as one of them. 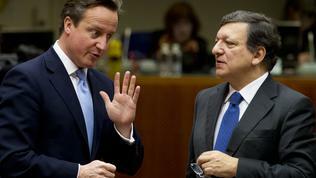 According to him, more of the same that already is in the eurozone, would not ensure long-term future. 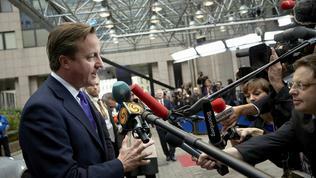 "More of the same will not see the European Union keeping pace with the new powerhouse economies. More of the same will not bring the European Union any closer to its citizens. More of the same will just produce more of the same – less competitiveness, less growth, fewer jobs", Cameron said without, however, pointing out what that "same" was, given that in the EU deep legislative changes are taking place right now the impact of which is yet to be assessed - starting with the reform of the economic governance which is still not complete and pass through the putting of the first element of the agreed in June last year Banking union. The analysts and politicians who think that the worst of the European crisis is over are not a few, in spite of the remaining challenges. Is this the "same" Mr David Cameron has in mind? 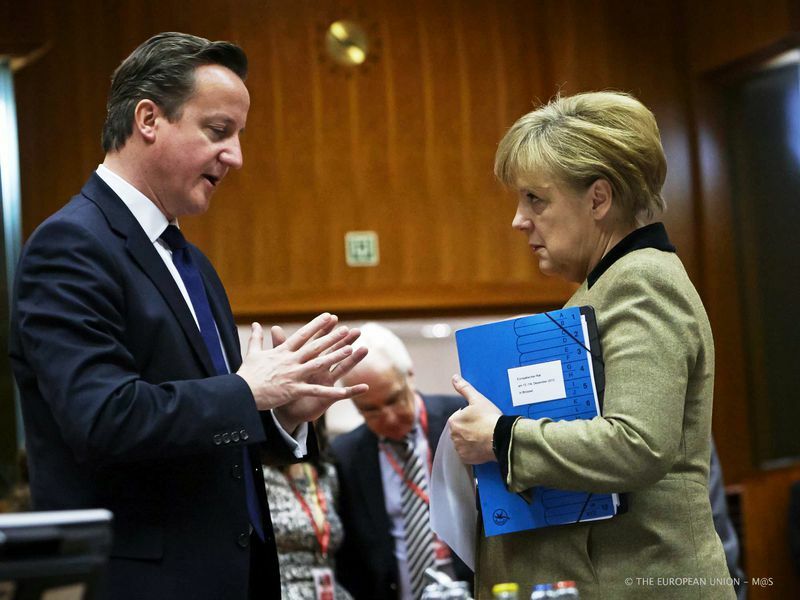 An end should be put to the talk about a two-speed Europe, fast and slow lanes, about countries that miss trains and buses and to move toward a conversation about a more loose European Union, Cameron called. In that spirit is his "heretic" proposal - a change of the EU treaties to enshrine in them explicitly that those countries that do not want to continue with integration, could do that. If Mr Cameron has in mind that opening of the treaties is a heresy, it has not been even a taboo for a long time, not to say heresy. Even talking about an entirely new treaty no longer causes shock and fear as in the first years after the painfully agreed Lisbon Treaty. Cameron walked a long way (around 35 minutes) until he reached the essence of his speech - the need of a referendum on the future of Britain and the EU. And here is the big disappointment. After so many weeks of imbuing and months of a talk about a Brexit, Cameron's plea for a second term as prime minister and his statement that only then a serious conversation can take place for the benefits and harms of British EU membership, sounds helpless. According to him, now when the EU is in a process of transformation is not the right time to ask the question "in or out". It is better to wait a while, to make a thorough analysis, to renegotiate Britain's relations with the EU and only then. This means that by then Cameron leaves everything afloat. With this decision of his, Cameron does not leave too much of a choice to his fellow countrymen because the EU already has an experience with preparing for an exit that could cause strong jolts. The first time when a word broke out about Greece's leaving the eurozone and therefore the EU, most estimates showed that this would be devastating not only for Greece, but for the single currency as a whole. Few were those who predicted that the euro could survive such a shock. With time, however, the thesis for a Grexit was gaining more and more speed and everyone seem to have ceased aching. Not only this, but they were already prepared. The scenarios for life without Greece were on the table when a solution was found and for now, no matter how painful it might be, it is working to the benefit of Greece and the eurozone. But a Brexit has been deliberated for several months only and in spite of the realisation that this would seriously weaken the EU, no one is talking about a catastrophe. And if an exit will be awaited another 3-4 years (a possible referendum is planned for 2017), by then Britain will be long swallowed and life without it will have even begun simply because the single currency is the driver of all changes and Britain is not part of it by its own choice. David Cameron is trying, as a drowning man to clutch a straw, to attract those 10 member states (and as of July 11) non-euro countries to his side, but they have signed in their accession treaties up to joining the single currency once they are ready. The British conservative does not have many chances to find support with them because, given their recent past, no matter how strong the concussions in the euro area are, they are preferable to what could face them outside. It is worth mentioning as well that even in the eurosceptic Czech Republic the first round of the presidential elections showed mass support for pro-European politicians. In The Netherlands, where there was a big wave of euroscepticism practically pro-European parties have won. And in Germany, Chancellor Merkel seems to be bound to a third term. All this should speak to the British prime minister that he will find it hard to find allies for something that in fact is interesting only to him. 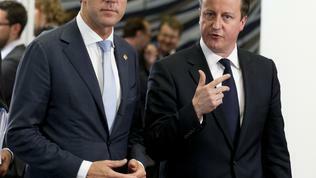 David Cameron stated clearly that he wants a better deal for Britain. No matter how much he claims that he wants a better deal for Europe as well, arguments for this can hardly be found in his speech. He announced his consent with President Barroso that in the upcoming years changes to the Treaties will be needed to ensure the long-term future of the euro. But Barroso's ideas and those of Van Rompuy for changes in that direction were left aside at this stage by the European leaders. Cameron's demand for treaty changes is by itself an irony for his refusal in 2011 of small Treaty changes in 2011 to include rules for fiscal discipline, thus forcing 25 member states to sign the fiscal compact. If he relies on Barroso, who is to face European elections in 2014, and Herman Van Rompuy for whose seat new players are warming up, he is definitely betting blindly. The feeling is ubiquitous in Europe that opening the Treaties for big changes, especially a new treaty, will represent in fact opening of Pandora's box. Cameron's speech in itself is perfect. It makes a really good analysis of where Britain is in the global world. It touches upon the question about Britain's capabilities to live without the EU and the EU without Britain, but nothing more than that. The speech plays on the cord of democratic legitimacy and that the European citizens are not asked about the deep changes they are "imposed" to bear, but much a stronger voice in that regard is heard from Strasbourg. Yes, it's true that in some countries governments fell because of the crisis, but it is also true that support for reformist politicians, who instead of blaming European integration for their economic woes simply implement reforms for the sake of their citizens, is growing by the day. And here it does not matter whether you are right-wing or left, but only that reforms are necessary. And what is very important - these reforms are synchronised with a changing EU. 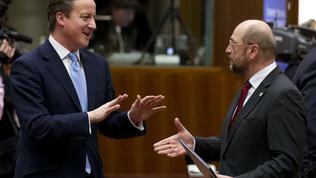 Britain wants the EU to change according to its dynamics, but that requires a European referendum, not a British. (except for England that will push Europe over the precipice). The old economy will get to the last stop. It will be just from chaos that one voice will rise with the promise to fix all and everyone. That will be the forked tongue of the New World Order.